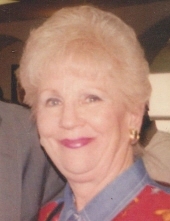 Kathleen M. Quay, passed away on Tuesday, February 5, 2019 at Eden Hill Nursing Home at the age of 84. Kathleen was born on May 18, 1934 in Houston, Texas to the late Fabian Albertus McCord and Lily B. Nicks McCord. Kathleen was a teacher at St. Augustine High School and Ursuline Elementary; she loved her kids. Kathy also loved to travel and go on cruises all around the world, which she and her daughter Karla did all the time. She was preceded in death by her parents; husband, Samuel D. Quay; and son, Samuel D. Quay. Survivors include daughter, Karla L. Quay; son, Mark S. Quay; sister; Nancy Deane; niece, Julie Deane Tatum and nephew Derek Deane. To send flowers or a remembrance gift to the family of Kathleen Quay, please visit our Tribute Store. "Email Address" would like to share the life celebration of Kathleen Quay. Click on the "link" to go to share a favorite memory or leave a condolence message for the family.